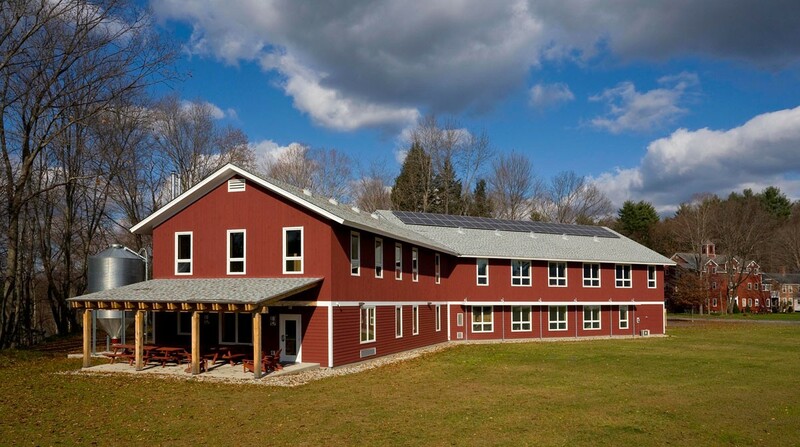 SCA’s Green Building reflects the core values of the largest student conservation service organization in the country. 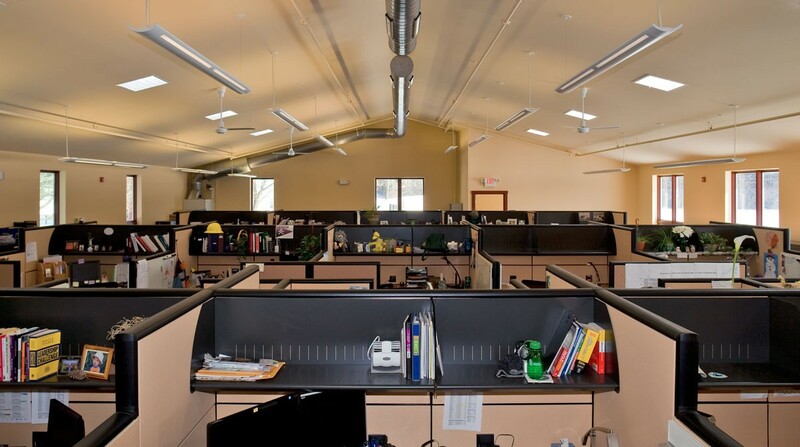 The building achieved a LEED certification rating and is sited to maximize solar gain, preserve open space and provide a healthy, comfortable environment for 53 employees in an open office plan with adjacent conference rooms and large training room. Local, renewable and non toxic materials were used in construction. 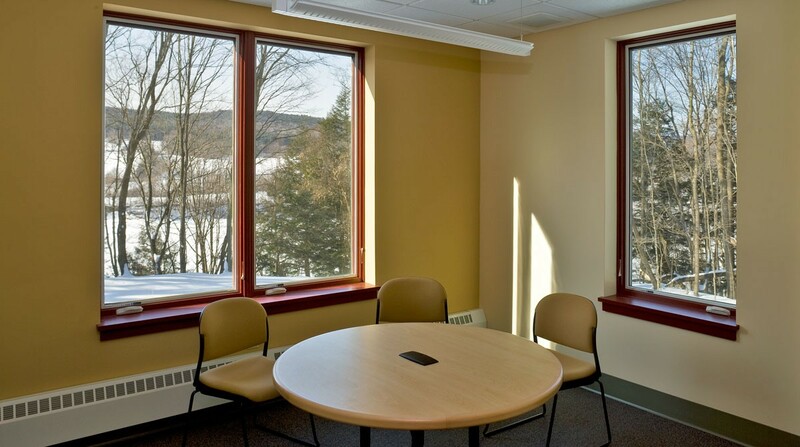 High performance wall and roof assemblies and orientation specific glazing limit energy consumption. The primary heat source is a carbon neutral wood pellet boiler. 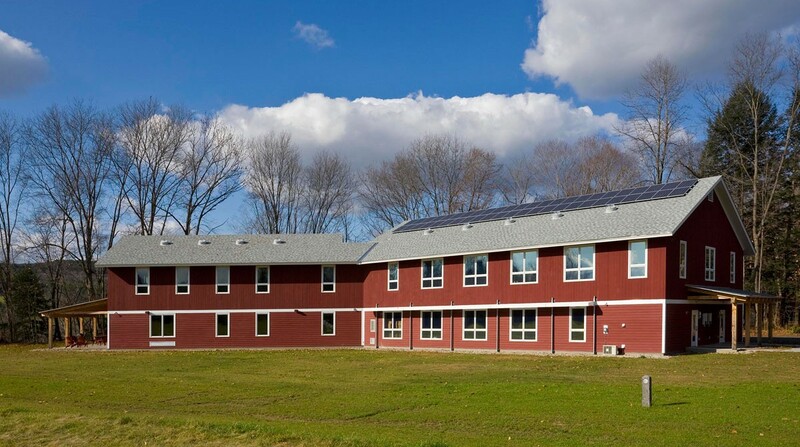 An 8 KW photovoltaic system offsets electrical costs while sensor controlled artificial illumination and generous daylighting reduce electrical consumption. The building is not air conditioned, but roof overhangs, solar shading and the building envelope limit heat gain. 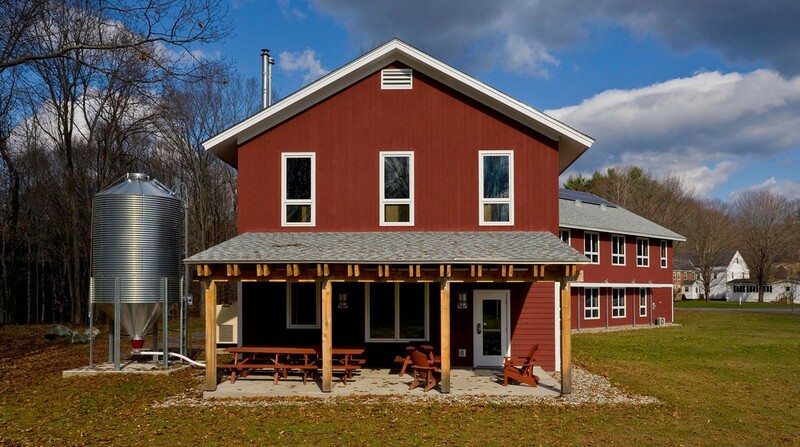 Natural ventilation, fans and a large porch provide a comfortable work environment on hot days. 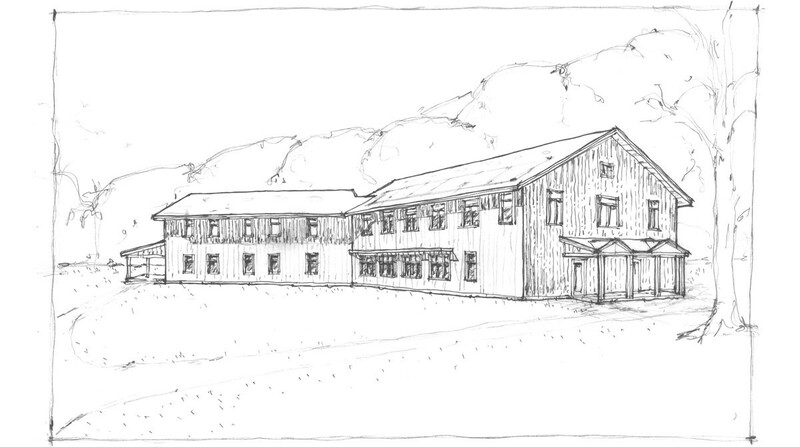 The exterior detailing responds to the extended farm buildings characteristic of the other buildings on the SCA campus.